Equipped with a 15.6 inch IPS FHD display, brings your photos and videos to life. The powerful Windows 10 operating system makes it easy to check E-mail and manage digital files. Powered by Intel Core i7-8550U processor, ensures high performance. Designed with HDMI output, allows you to connect it to monitors, TV or projectors, perfect for creating your personal home theater. NVIDIA GeForce MX150 dedicated graphics, all of these give users a full suite for using dominance and offer users a truly seamless using experience. Want to be notified when the HUAWEI MateBook D Laptop 15.6 inch gets even cheaper? Make sure you snag the best price by entering your email below. We'll email you when the price drops, free! We're tracking the price of the HUAWEI MateBook D Laptop 15.6 inch every day so you know if that deal is really a steal! Check back for to check the best price for this product - and whether its current sale price is really the cheapest it's been! 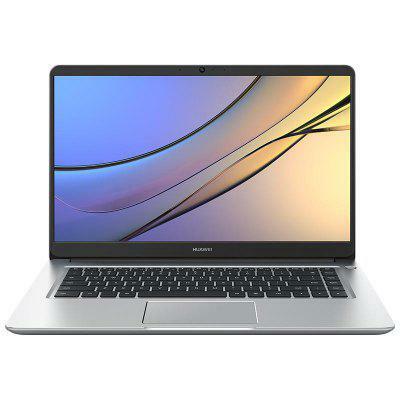 No HUAWEI MateBook D Laptop 15.6 inch coupons found!